When you accept a booking, the Visa/Mastercard added by the brand will be charged automatically for all amounts below €100. 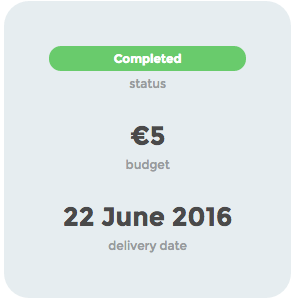 For amounts over €100, the brand will have to confirm the funding of the booking. A 10% service fee is added to the charge. The funds are placed in an escrow account with our payment provider, Mangopay, where it is kept safe without the brand or you being able to access it. Upon completing the booking request, you will deliver the booking and send the brand a link(s) to your published post. The brand will be required to confirm the completion of the booking before the funds are released to you. 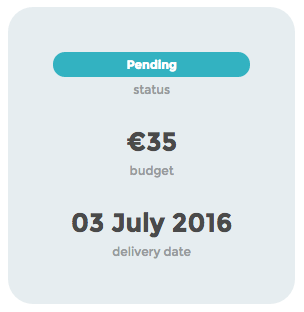 Bookings that are not funded are marked with Payment Pending. We do not recommend that you begin working on a booking before the payment from the brand is verified. If the brand hasn't funded the booking and it's two days or less until delivery date, you will be able to cancel the booking. A cancellation button will then appear on the booking page. When a booking is funded, the booking will be marked with Payment Verified. When the booking is completed, it will be marked as Completed. Your address will appear on the booking, as the brand may need to send you a product, and the communication regarding the job can continue through messages in the booking. When the brand confirms that the booking is completed, the funds will be automatically transferred to your Wallet. The Wallet can be found in the menu to the left. Your Balance displays what funds you currently have available in your wallet. You can withdraw funds from your Wallet to your bank account at any time. The funds are usually in the bank account within 2-3 days after withdrawal. If your total yearly earnings exceed €1,000 per year, we will ask you for additional information to verify your identity. If your blog is registered as a company, we will ask for additional information about your company. This is required by our payment solutions provider, Mangopay, and is necessary in order to fight fraud, money laundering, and financing of terrorism.